What will you Require To Automatically Add, Download, Seed, and Delete Your TV Torrents – Warning don’t proceed without these if you want to automate everything. 1. You would require a seedbox running on rutorrent one of the most common seedbox torrent client , access to ratio groups within the seedbox client ,Its RSS and auto-unpacking in case of rar or zip files , if you would not be using rared or packed palies You might not need the last option.In any case if you find anything missing you can always ask your seedbox provider to help you out. 1.Get an RSS feed from your favourite tracker or uploader and set it up, if you download from multiple sites , and you plan to get multiple shows setup accordingly. 2. 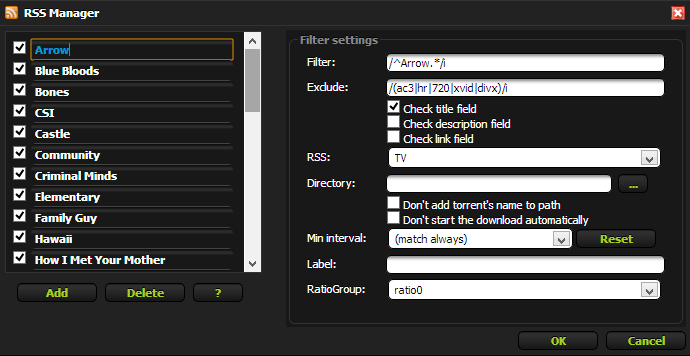 Set up your filters , this would help you to set the files which you want to get and the files that you wouldn’t want like blue ray etc. 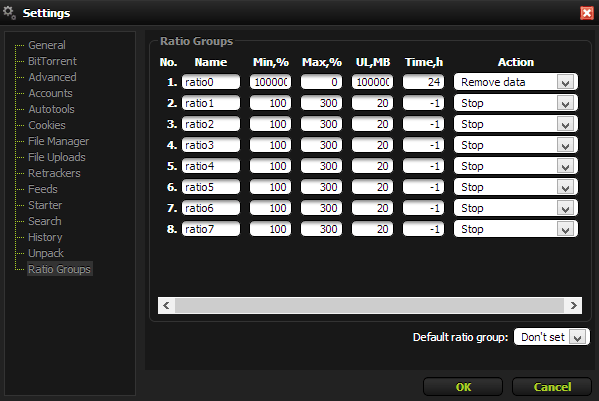 To this you will have to setup ratio groups and set them to remove after duration , In the below screenshot you will find out how that might look like. – Download and Install GoodSync [google it]. – Go to Job > New Job. Give your Job a name and Select “Backup”. – On the left Browse, navigate to your desired download folder. – On the right Browse, enter your seedbox’s FTP settings. – Navigate to the directory you specified in Step Two on the right side. ftp://seedboxroot/videos for example. – Go to Job > Options. Make sure Job Type is Backup, Right to Left. – Click in the Auto submenu. Under Periodically, check ‘Sync’ (should auto check Analyze) and set your interval. Mine is 5 minutes. – Click in the Advanced submenu. If you don’t have write permissions, then check the ‘No _gsdata_’ folder on the Right side. This will delete the file from the seedbox after it has been successfully copied to your pc. Special Thanks to Yakisoba Time for the original content.